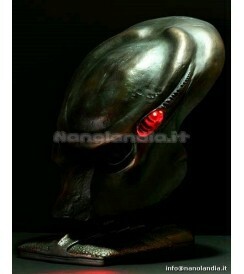 Hollywood Collectibles Group is proud to announce our officially licensed 1:1 scale Predator 2 Bio Helmet. This helmet has been molded directly from one of the original surviving screen used helmets, and then meticulously painted to match the original in every detail. 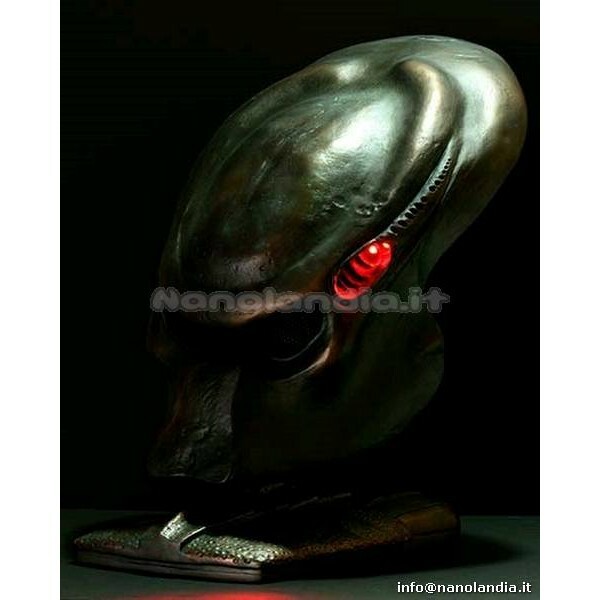 The helmet comes complete with a Predator 2 themed display stand, that can be displayed on your desktop, or mounted on your wall. The Bio Helmet or Environment Helmet, is removable from the display and features a fully functioning light up LED “target acquisition system” with 3 LED's. Constructed from fiberglass with metal eye mesh. Each piece is hand-cast, hand-finished, and hand-painted to exacting standards, then individually hand-numbered. This amazing life-size Prop Replica is available in a strictly limited edition of just 1000 pieces worldwide.